How do you find and reach your target audience? Sales and digital marketing experts share their tips on the best ways to garner qualified sales leads. The world is full of millions – make that billions – of potential customers for your products or services. But how do you find and reach your target audience, without spending (or wasting) too much time, money and resources? And how can you help ensure that the people who visit your Web or social media site are truly interested in your offerings? 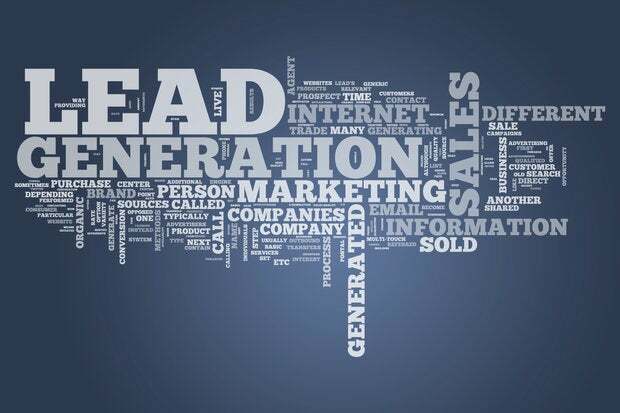 We put those questions to sales and marketing experts who shared their top eight suggestions on how to find and connect with qualified sales leads. “For most businesses, the best lead generation strategy is to focus on getting repeat business and referrals from the customers you've already won,” says Branndon Stewart, CEO, OutboundEngine. Besides offering great service, provide loyal customers an added incentive to come back, such as 10 or 20 percent off their next purchase. Similarly, get them to refer their friends and family (and colleagues) by including a friends and family coupon with their order. “We generate over 3,000 leads per month, mainly for free, by offering free webinars,” says Ray Higdon, a marketing and lead generation expert and founder of Top Earner Academy. “Then we take the webinar recording and place it behind a capture page,” which results in additional leads. Another way to attract potential customers or clients is to conduct a Twitter Chat or “create a Google Hangout on a topic that connects with the needs of your target audience,” says Jeff Beale, aka Mr. Marketology. Show the audience “you understand their needs, and how you approach a solution and the benefits of that solution,” he says. When conducting a live Twitter Chat or Google Hangout, it’s also important to respond to questions promptly and provide participants with contact information, where they can get in touch with you or learn more after the Chat or Hangout is over. LinkedIn can be a great way to find potential customers, if you know what, as well as who, to look for. LinkedIn Groups are another source of leads. Join Groups most relevant to your business, or where you are most likely to find people interested in your product, service or expertise. Then “participate in Group discussions by being a resource, sharing best practices and knowledge gained from experience,” says Lydia Sugarman, president, Venntive, which provides a digital marketing platform. “Rather than throwing money at advertising, SEO and other services, invest in valuable, engaging content and distribute it via social media [sites, such as Facebook],” says Stewart. “Video content can be a boon for email and demand generation strategies, and some studies have shown that simply including the word ‘video’ in an email subject line can increase click-through rates by more than 7 percent,” says Brendan Cournoyer, director of Content Marketing, Brainshark, which provides a sales enablement platform. If you are a new business looking for certain types of customers or an existing business launching a new product or service and looking to find potential buyers, buying third-party validated data (aka lists) can be a good option. “For example, if you sell iPhone accessories that assist people with live navigation while in their car, knowing that they drive a car that is Bluetooth enabled [is a valuable] piece of data that you may not have access to otherwise,” explains Ted Prince, senior vice president, Information Services, Neustar, which provides real-time information and analytics. Whether you are a new business, especially a new ecommerce business, looking for customers or want to attract Internet users to a new product or service you have on offer, Google AdWords can help you find potential customers quickly. Signing up for Google AdWords is free. You determine, and can adjust, your budget. Pick the key words or phrases you want to use (or can get Google to help you). Target specific regions (advertising locally, within a certain region or internationally). And only pay when someone clicks on your ad and goes to your website or landing page.